Maryam was born in a dark period of her family’s life. Her mother died when she was a child and her father forced her to marry a man when she was thirteen years old. Her father was paid a lot of money for Maryam, and then he left to go abroad, leaving her and her younger brother in Afghanistan. 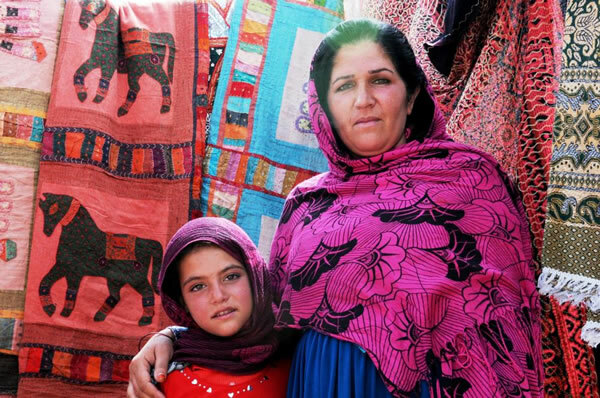 While Maryam was still a teenager, lacking in knowledge about either motherhood or family skills, she bore four children. The first child was a girl and her husband was very angry about it. The second child was also a daughter and he sold her when she was born in the hospital. His behavior grew worse with Maryam day by day. Maryam became depressed and began to lose hope, but when her third child was born, it was a boy. He became a bright point in Maryam’s world. She was happy and she thought her husband would be kinder to her because of the son. But it was just a dream. Her fourth and last baby was a girl. Maryam didn’t know what she should do. She prayed to God and hoped to be able to take care of her children, but it was not easy. When her daughter turned six years old, her father wanted to sell her like he had sold her sister. Maryam wanted to avoid this, but she needed someone to help support her. She decided to take a stand and not allow him to sell her daughter. She pleaded to her brother to help her and they made a complaint to family court and she also consulted with a defense lawyer. He helped her to separate from her husband and to give the children to her mother-in-law. The attorney prosecuted her husband for crimes against humanity and rudeness against woman. Maryam, now twenty-six years old, decided she could make a new family for herself without her husband. Now after all her pains and struggles, her husband can no longer hurt Maryam’s life, and she is able to save her poor daughter from being sold. I’m so glad Maryam was able to get away from this man and make a new life for herself and her family. I’m glad she had her brother with her to help her, though it saddened me that she had to be separated from her children to save them. She has had to go through so much at such a young age, and I admire her spirit in continuing to find a way to live well. Thank you for sharing their stories.